Kmart's Baby Sale starts today and runs through 10/31. Almost all in-ad baby items are available online. Make it easy on yourself and order your items online, then have them shipped to your local store free of charge! Plus, you can save $10 on orders of $60 or more with Kmart.com promo code OCT4SAVINGS. Character layette items are buy 1, get 1 50% off. Baby gates are buy 1, get 1 50% off. 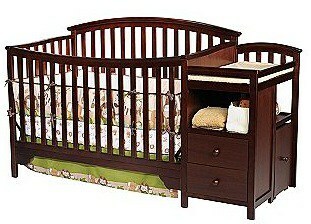 I have a feeling that everything will be on sale if I walk into the Kmart baby department this week! Great deals, love that picture you showed!